Did tables get messed up within the last few GS versions? — Welcome to the GameSalad forum! Did tables get messed up within the last few GS versions? 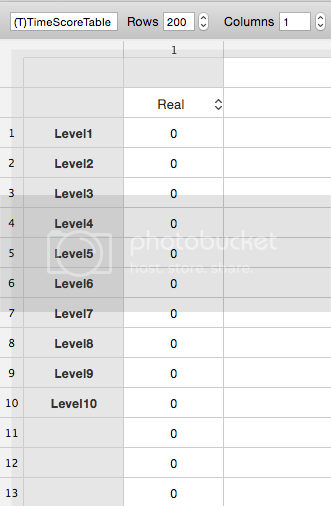 The row in that one changes depending on what # level it is while the column is always 1. So what has been happening is that some levels record and some stay at 0 kinda randomly.... Sorry for the long post but is this a wide spread issue or is there anything wrong with my code that you can see? Thanks very much for reading and if anyone could get back to me that would be great as this is the only thing currently breaking my game. Thanks! Edited! hopefully these images show now. There! It took a lot of effort but I think you should be able to see my images now. Sorry for the mess up and thanks for your time! I think I may have bored/confused you guys with my long post. 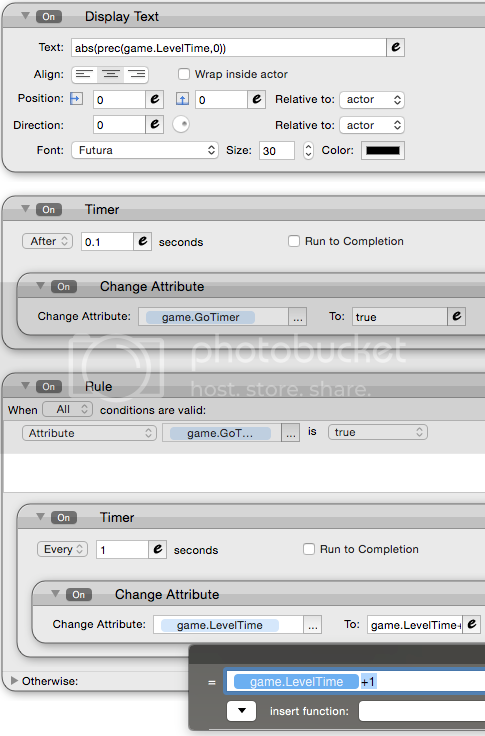 Basically I'm just wondering if there's a current bug that affects saving a numerical value to a table using the change table value behavior. It's currently very spotty for me. Please respond if you can and thanks so much!